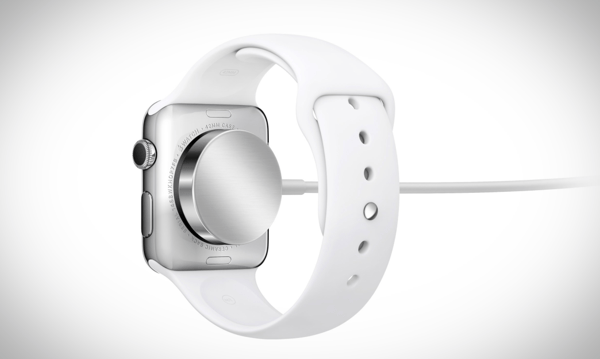 Put the device into Power Saving Mode: OK, so this basically kills the use of the watch. You could also put the watch into airplane mode. This stuff is really if you won’t be using the watch for awhile. You know, like on a flight. Disable the heart-rate monitor on the watch during your workouts. This only helps during workouts and has a negative impact in that you aren’t tracking heart rate and you get less accurate active calorie data. But if you’re running an ultra-marathon, you probably wanna’ do this. To do so, open the Apple Watch app, tap on the entry for the Workout app and then tap on Power Saving Mode. Reduce notifications. To do so, open the Apple Watch app and then tap on Notifications. From here, check out this article for more information on managing notifications. Disable wrist detection. I’m remiss to tell anyone to disable this option, but it is one way to make the watch battery last longer; especially if you gesticulate a lot! To do so, open the Apple Watch app and then tap on General. Then just slide the Wrist Detection entry into the OFF position. Similarly, the Reduce Motion option reduces the number of automations when opening and closing apps. I love these animations and I’ve found that unless you’re doing a lot on the watch that this doesn’t really help with battery as much. But if you spend a lot of time during the day opening and closing apps, then this can be a nice bump. Pick a watch face that isn’t a power hog. Watch faces with animation kill the power. I use the default watch face, which is bit of a drain because it pulls weather and shows your activity. But if you are really active, you might benefit from a very basic watch face that isn’t polling information on your phone to, for example, update the weather all the time. To switch between watch faces, Force Touch (press and hold) on a watch face and then swipe horizontally to select a new one. Reduce the brightness on your device. One of the reasons that the Apple Watch is so awesome is that the screen is the prettiest on the wearables market. Reducing the brightness will only make the screen less and less awesome. But if you need more battery life, it will help! To turn down the brightness, open the Apple Watch app, tap on Brightness & Text Size and then slide the BRIGHTNESS entry to the level of brightness you can deal with. You can also go grayscale, on that same screen. It’s kinda’ sad to go this route, but if you’re about to do a Marathon with the watch, you might as well. You can always go back to a normal screen afterwards.